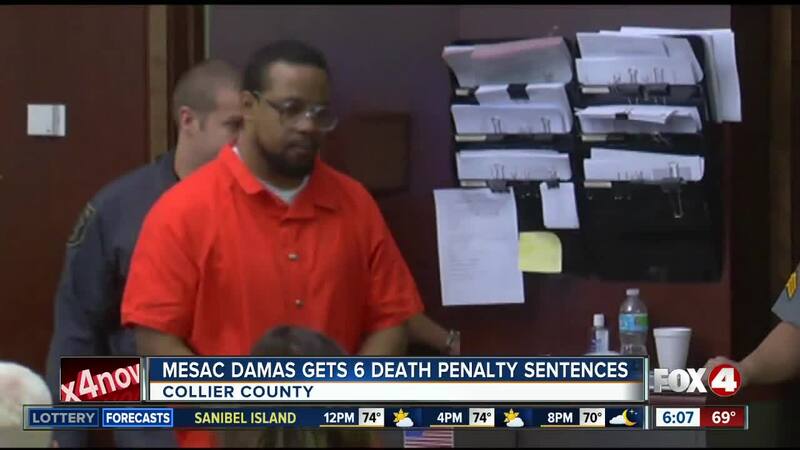 The court affirmed a 2017 decision that 42-year-old Mesac Damas will get six death penalty sentences for murdering his wife and five children. COLLIER COUNTY, Fla. -- The Florida Supreme Court signed off on the death penalty for a Collier County man who murdered his family. In September 2009 law enforcement responded to the home in Naples for a welfare check when the family of Damas’ wife, 32-year-old Guerline Dieu, had not heard from her. Dieu and their five children, Meshach, 9, Maven, 6, Marven, 5, Megan, 3, and Morgan, 19 months, had their throats slit. Damas had left the country, but Investigators eventually found him in Haiti. He later waived his right to a jury trial and pled guilty to all charges. The State Attorney's Office, along with his wife's family, pushed for the death penalty from the beginning, because it was such a gruesome crime.